HomeHealthWhat is acute flaccid myelitis? 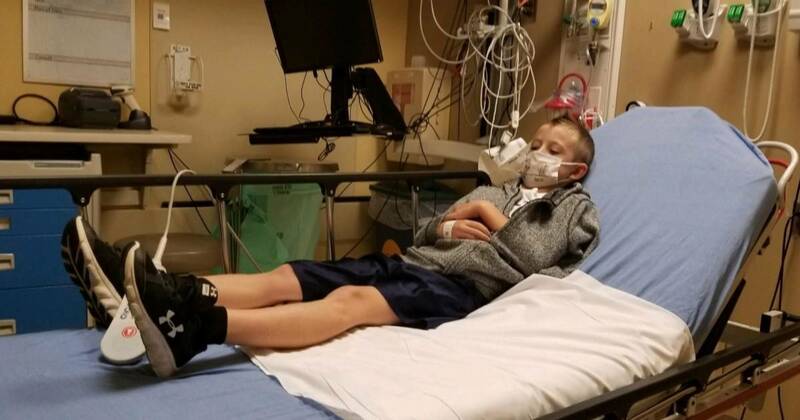 October 10, 2018 Health Comments Off on What is acute flaccid myelitis? Cases of acute flaccid myelitis, a polio-like syndrome that can cause paralysis or muscle weakness in children, appear to be on the upswing this year. The Centers for Disease Control and Prevention reports 38 confirmed cases so far this year and several states, including Colorado and Minnesota, are investigating an apparent rise in cases. What is acute flaccid myelitis, AFM for short? AFM affects the nervous system, particularly gray matter in the spinal cord, the CDC says. Depending on which part of the spine is damaged, different muscles can become weak or paralyzed. This can cause a range of symptoms, from difficulty lifting an arm to severe weakening of the muscles that help with breathing. That can require use of a ventilator to help the patient breathe. “In very rare cases, it is possible that the process in the body that triggers AFM may also trigger other serious neurologic complications that could lead to death,” the CDC says. Infection with many different viruses can cause neurological complications. AFM may be one of them. So is a similar condition called transverse myeletis, as well as Guillain-Barre syndrome. One virus called EV-D68 was the original suspect, because EV-D68 was circulating during the first big upswing in cases of AFM in 2014. This year in Colorado, a virus called EV-A71 was circulating in Colorado and was associated with many of the 14 cases there. Both EV-D68 and EV-A71 are enteroviruses, they are in the same family of viruses as the polio virus. Polio is notorious for causing neurological complications, including near-complete paralysis but also limb weakness. Polio once caused regular epidemics until vaccination wiped it out across most of the world. The CDC said other viruses such as adenoviruses, which cause common cold symptoms, and West Nile virus, can also trigger neurological syndromes such as AFM, as well as encephalitis and meningitis and vaguer symptoms such as dizziness, twitching and loss of balance. But, the CDC notes, many AFM patients have no sign of a specific viral infection. This doesn’t necessarily mean they were not infected, but means it’s very hard to diagnose some viral infections. It remains possible that something other than a virus is causing the symptoms, perhaps a bacterial infection or something else. Probably because it is linked with viral infections, the number of cases of AFM waxes and wanes from one year to the next. Cases tend to start rising in August, just as school starts, but it’s not clear if school is a factor in the spread of the viruses that underlie the condition. The CDC reported 120 cases in 2014, then just 22 in 2015. Then, cases spiked again to 149 in 2016. There were only 33 reported cases last year, according to the CDC. This every-other-year pattern suggests 2018 could be another year in which more cases are reported. Some children with AFM recover completely, but others are disabled for years. For instance, Carter Roberts of Richmond, Virginia, died in September after having been paralyzed for two years by what his parents said was AFM. Other children have undergone years of physical therapy to strengthen other muscles in their bodies to make up for the damaged ones. There is no specific treatment for AFM, the CDC says. Once a virus has attacked the nervous system, there’s no known medical intervention that can reverse the effects. Rehabilitation therapy can help patients regain function. About 4 million children are born every year in the U.S. but the CDC has confirmed only 362 cases since 2014.